In the early 1900s, the city of Rockford was home to a dog known as Old Tramp. Tramp was a beloved hound and considered an honored citizen. Belonging to no one and everyone, Tramp wandered the streets of downtown Rockford and made friends everywhere he went. It is clear from his photo that Tramp did not want for food. He was fed often by the friends he made, and he loved when children shared their candy with him. 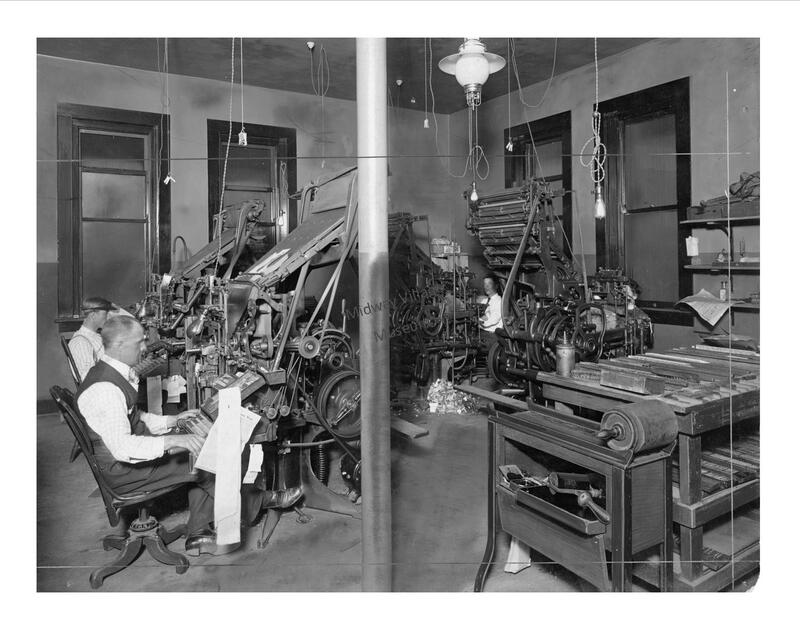 The newspapers Rockford Morning Star, Daily Register-Gazette, and Rockford Republic were especially fond of the roly-poly lab-mix, who was known as a “mountain of meat.” This story comes straight from their sincere, albeit exaggerated, publications. This is Tramp’s tale. Every morning at 7 o’clock, Tramp headed off to one of the meat markets to find his breakfast – a big delicious bone. 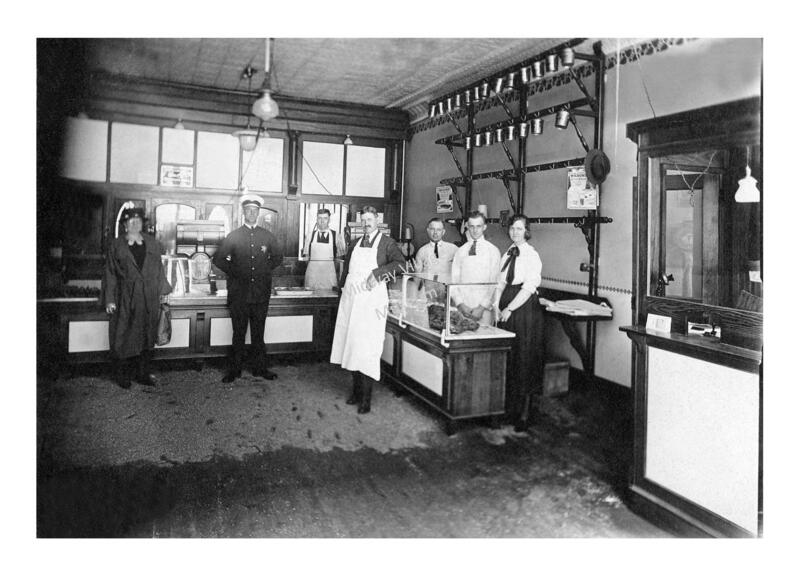 Carl August Ahlstrand’s meat market, located at 102 7th Street. 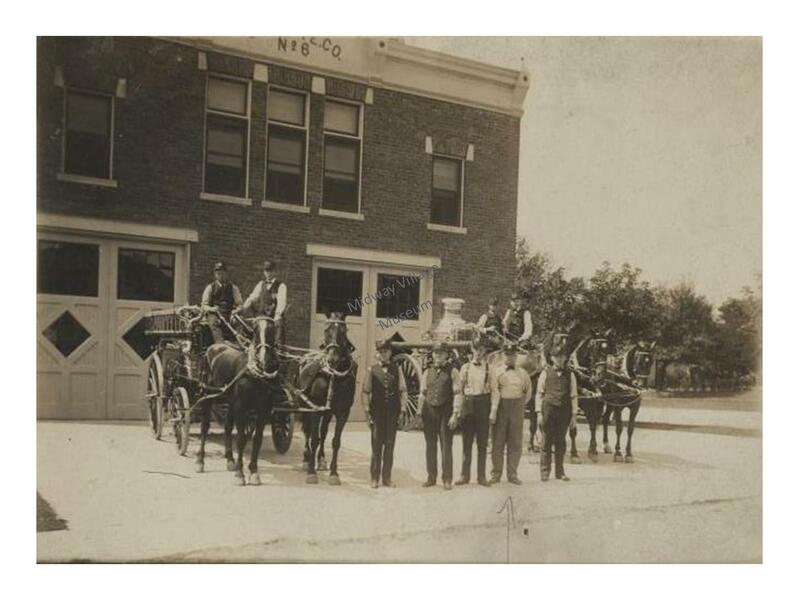 August came to Rockford from Sweden in 1885 and operated a meat market for over forty years. Tramp took his breakfast to the court house lawn to enjoy. If the fire alarm sounded, Tramp lumbered his way to meet the engine on the street and heartily barked his encouragement. 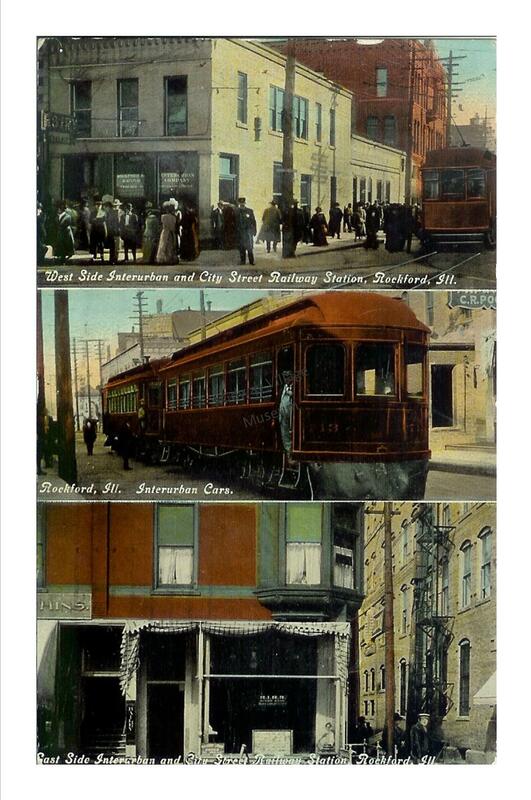 He frequented the Rockford & Interurban Railway waiting room and often took a ride on the streetcar. From noon to 2 o’clock, Tramp made his rounds of the saloons and cafes and enjoyed their samples, which were freely given. 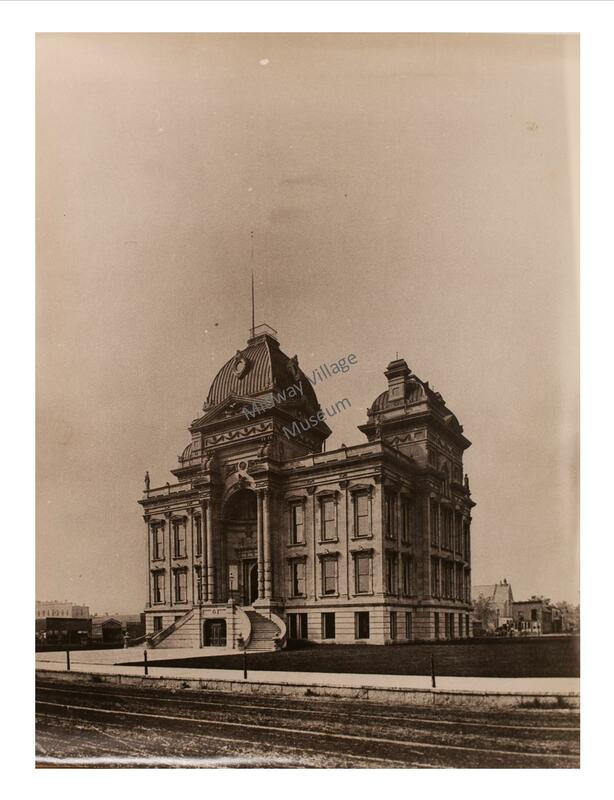 When the steamship Illinois blew its whistle, off he went to meet it. After enjoying an afternoon cruise, he might have followed an officer on his beat and kept him company. At 10 o’clock, Tramp retired to the Morning Star office where he fell asleep on a pile of exchanges. There was one steamboat trip Tramp did not enjoy. 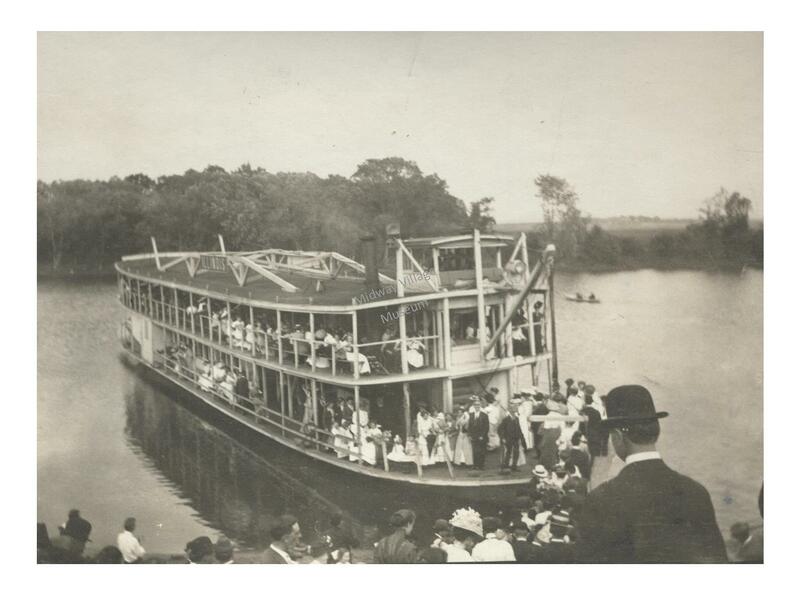 One lovely day in June 1902, Tramp boarded the Illinois with the other patrons, who were off to delight in their picnics. A group of men belonging to the Grand Army of the Republic also boarded. One of these old veterans picked him up and threw him overboard as the steamboat left its port. Tramp paddled to the shore unhurt and walked home. The next year, the Republic reported, Tramp boarded the ship as usual and recognized the same man who had tossed him off the deck the year before. Tramp performed an about-face and walked back down the gang-plank to avoid another unpleasant confrontation. In 1905, Tramp had an adventure that caused quite a stir in Rockford. On February 24, the Register-Gazette announced that “Tramp Is Missing” and the Morning Star cried “Tramp Was Taken Away.” Tramp had boarded the streetcar, being a dog who enjoyed a good ride, and stood in the front vestibule with the conductor, Floyd Knodle. At the crossing near Ridott, a lineman got off the car, and Tramp, in all likelihood, hopped off and began walking alongside the track. Floyd was in a hurry, and so the car continued on. However, upon returning without Tramp, many people were outraged and accused Floyd of pushing the lab out of the car and abandoning him in the snow. It was known that the railway officials were annoyed by Tramp’s presence in their waiting room, and this, argued the newspapers, was the reason poor Tramp had been abandoned. The Morning Star felt very protective of Tramp, who had made their office his bedroom. It defended him, saying that he was not a nuisance and in fact was liked by hundreds of people. If Tramp was not produced, they threatened, the Humane Society would arrest whoever was responsible; in fact, they claimed, all of the officials of the company should be arrested for cruelty to this poor dog. 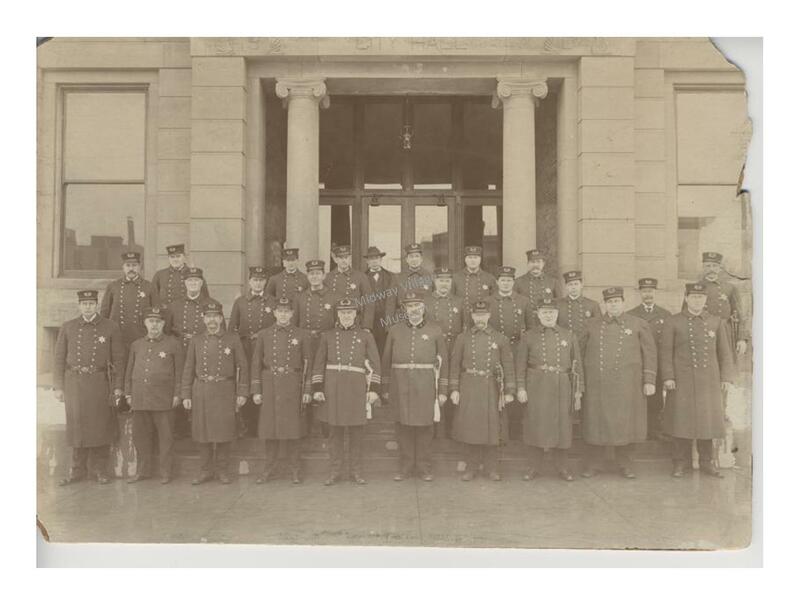 They got their scapegoat the next day when conductor Floyd Knodle was arrested for abuse and brought into the court house for questioning. Even the judge was ready to fine him; however, the case was dismissed two days later. It was ruled that because the incident had occurred in Stephenson County, the judge had no jurisdiction in the case. Is hardly fit for publication. 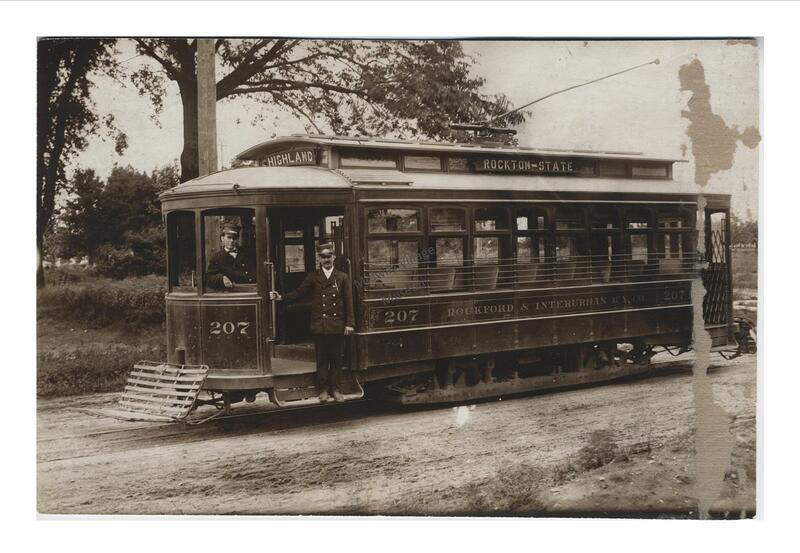 Although Tramp was an irritation to the streetcar officials, he was clearly loved by a great many. Shortly after this incident, a Rockford citizen wrote a letter to the editor of the Republic. He proclaimed that he would give $10 to punish any abuser of the dog, and $100 to convict anyone who threatened Tramp’s life with poison. Tramp became a model in 1906 when the Women’s Christian Temperance Union sold photographs of him as a fundraiser. The Register-Gazette reported that the photos showed him “in various characteristic attitudes, in repose, in action, and on dress parade.” His picture also was the ornament on top of a daily calendar. When Tramp passed away in November 1908, he was honored by Rockford’s newspapers with large obituaries that were truly a labor of love. They reported that Tramp had been visiting the Reigert home at 255 North Court Street, one of his regular spots. The fire alarm whistle blew, and he attempted to get up and bark as usual, but his hind legs were paralyzed. A police officer was notified, and when he arrived he offered to shoot Old Tramp to put him out of his misery. Mrs. Reigert intervened, exclaiming “The old dog has been kind to everyone and everyone has been kind to him. I will not see him killed violently if I can help it. 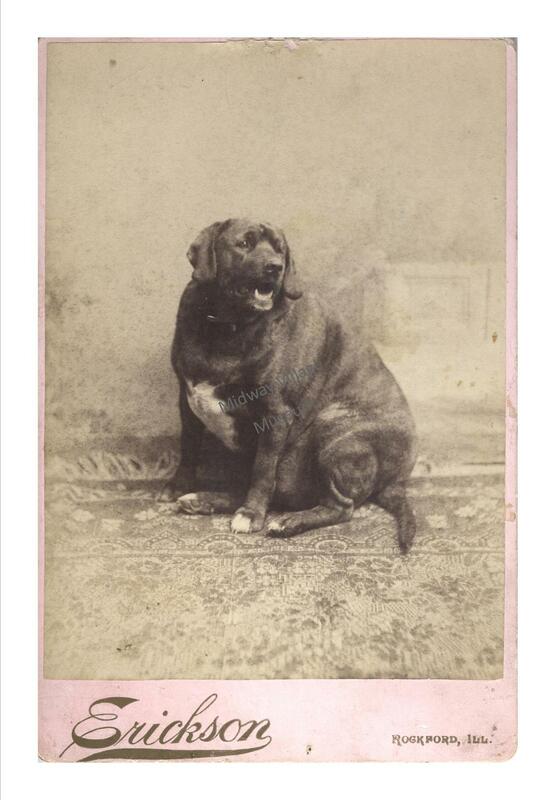 I will be glad to pay for the services of a veterinary to chloroform him and make his passing easy.” Dr. W.R. Finely was summoned, and Old Tramp left the world in peace. These grand speeches, however fictional, give evidence to the adoration and admiration the people of Rockford had for this lovable Labrador. His epitaphs took up more space and were generally more praiseworthy than most humans’ obituaries. He was called the “best known canine in the United States, an honored resident… beloved by practically every man, woman and child in this city.” One month after Tramp’s death, a letter to the editor appeared in the Republic that included a poem written in his honor. He was only a tramp, yet loved by all. The rich, the lowly, the great, the small. And took our mutual friend away. He never got drunk, nor scolded his wife. From the days of his youth to his fatal end. And where Tramp has gone they’ll ne’er be seen. Peace be to his ashes eternally. 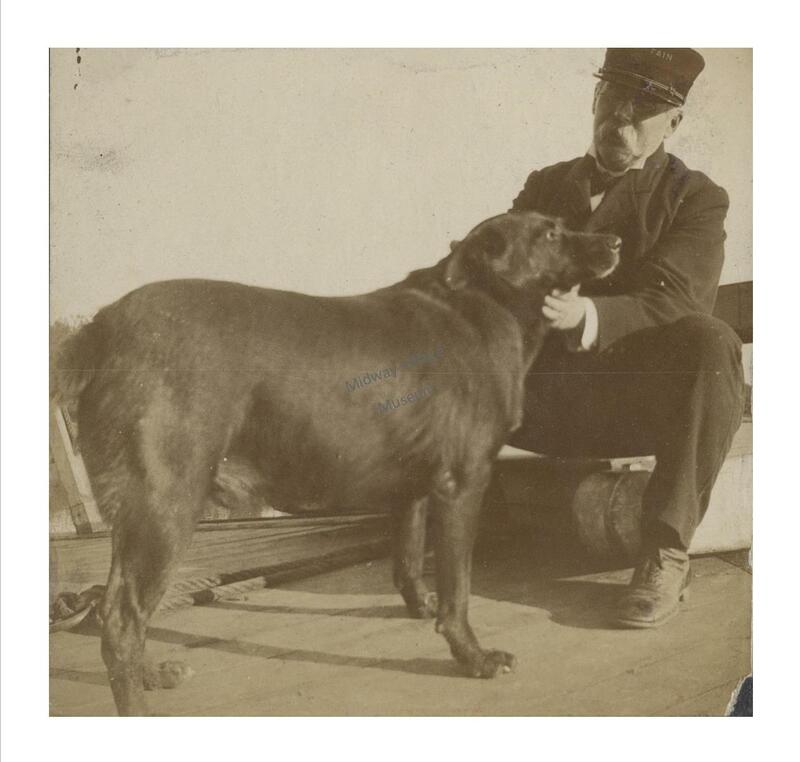 Tramp’s part in Rockford’s history provides insight into the evolution of animal welfare and reminds current dog owners of the importance of proper care and healthy feeding of their pets. Today’s veterinarians and animal-enthusiasts know the medical dangers to over-weight pets and can offer treatments. Animal shelters and humane societies across the country work tirelessly to take in homeless pets that are exposed to dangerous elements when left on the streets and find them new, loving homes. This is a bonus blog celebrating 10,000 views!! Can you guess what these artifacts are? Click on the photos to find out! !